While the government is tightening its grip on the junket operators, they hope to get something in exchange. On his first day in the office in December the new chief of Macau’s casino regulator, supervising the market that saw its size shrink by more than one-third in the past year, said his foremost job is to strengthen the regulation of the gaming industry. One of the goals of Paulo Martins Chan, Director of the Gaming Inspection and Co-ordination Bureau, is to foster the development of integrity in the industry. More than two months after his inauguration, a notable change is a new section covered by the ongoing mid-term review of the local gaming industry – the development and management of junket operators. Battered by a slowing economy and an omnipresent campaign targeting graft in Mainland China that has kept high rollers at bay, the junket operators have also been under heightened scrutiny by officials and public in the past year in the wake of several high-profile alleged embezzlements and frauds. Preparing to embrace stricter regulation, the casino middlemen are juggling their chips in the hope of finding some leeway to get what they want from the authorities in exchange, like establishing a controversial database of debtors. Barely stepping into the new year, the junket sector has already aggravated its woes with another alleged purloining to the tune of at least HK$99.7 million (US$12.5 million) by a casino executive in charge of junket management in L’Arc casino. The incident was preceded by a high-profile alleged theft by a finance staff member making off with more than HK$520 million in September from junket operator Dore Entertainment Co. Ltd.
She believes the government will intervene more in the ways the junkets – who help Mainland punters splurge on gaming tables by lending them money and settling subsequent debts – raise their capital. This will include strictly prohibiting them from accepting deposits from the public, prompted by the furore stoked by the Dore incident. The government will also strictly enforce existing rules governing the casino middlemen providing evidence of no criminal record during the renewal of their licences, she added. Following the enforcement of the new accounting and finance rules this year, 35 junkets failed to meet the requirements and submit relevant documents, leading to the failure of their licence renewals. According to the gaming regulator, there are now 141 licensed gaming promoters, or junkets, in Macau, down 22.95 per cent from a year earlier. In spite of putting the improvement of gaming regulations at the top of his agenda, head gaming regulator Mr. Chan has yet to unveil his blueprint. He has only remarked that the Bureau would consult with the junkets and gaming operators before making any decisions, adding a possibility of “slightly raising the bar” for junkets. He said it was noteworthy whether the government would modify the legal definition of gaming promoters spelt out in an administrative regulation in 2002, which technically did not mention their role of granting credit to gamblers. The authorities only set up a subsequent regulation in 2004 on gambling credit, he noted. The government and the public should also mull whether the junket operators could be divided into different categories based on their scale and how to better ensure they comply with the rules of anti-money laundering, he added. While the administration should raise the requirements of acquiring junket licences like past business performance, financial capability and registered capital, Prof. Zeng said it should consider allowing the junkets to compile a name list of debtors. “The past few absconding incidents and thefts are due to a credit crunch in the segment caused by excessive lending and also the inability of gamblers to settle their debts,” he posited. Junket operators have reiterated calls similar to Prof. Zeng in the past few months about the establishment of a shared database of clients for whom they have granted credit. Kwok Chi Chung, president of the Association of Gaming and Entertainment Promoters of Macau, said this system could draw the attention of the junkets to some gamblers who are highly unlikely to repay their debts before deciding to lend them money. “This could prove useful for us but we, of course, want to make sure this will not contravene any existing laws,” he noted, as the sharing of information of their high rollers might breach the personal data protection act. Mr. Kwok also noted that the government would meet with different junket representatives in February to discuss a laundry list of issues, including the possibility of setting up such a database. Financial news agency Bloomberg reported in December that gaming promoters could now only recoup 20 to 30 per cent of outstanding debt compared to as much as 70 per cent in 2013, as many gamblers struggled to settle their debts. Legislator Zheng Anting, purportedly with interests in the junket business, has been an advocate of this blacklist system, speaking to different media outlets and attending discussion forums. “The gaming promoters hope that the government can co-operate with them in setting up this database, which could be run legally,” adding that only a restricted number of users could access the system. Asking whether all the junkets were willing to share their clients’ information, the legislator said it was important for the industry to reach a consensus first. “It’s better to emphasise quality rather than quantity,” he said, meaning the junkets should only grant credit after having a clear grasp of the financial capabilities of their clients. The government has so far neither approved nor rejected the idea of the junkets, only noting that the database could be ‘feasible’ and that further discussion and study were needed on technical details. 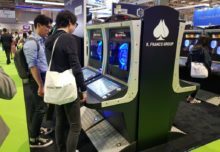 “This type of ‘high risk’ gambler database would clearly have to navigate Macau’s data privacy laws, but pooled information seems in theory to make sense for junkets looking to better minimise risk,” said Jeffrey Fiedler, spokesperson of the International Union of Operating Engineers, a labour union based in the United States. The group has set up the Macau Gaming Watch website to monitor and investigate the activities and backgrounds of junket operators here. He noted that this database was just a twist to the service offered by Wonderful World, a website naming and shaming gaming debtors, which once listed more than 700 gamblers frequenting Macau’s casinos. The website 99world.com, launched in 2013, had claimed to help junkets recoup more than 200 million yuan of debt. But the police arrested the owners of the website in 2014 for breaching the Personal Data Protection Act by publicly disclosing the personal information of the debtors. Local courts found them guilty in 2015. Mr. Fiedler also cast doubt on whether high rollers would be willing to have their personal information recorded on such a database, given it was not publicly accessible. “Many of Macau’s high rollers, particularly politically exposed persons, strive to protect their privacy. This might further depress demand in Macau’s high roller market,” he remarked. In revamping the junket regulations, Mr. Fiedler said the government should have a more “rigorous regime” that conducted stricter suitability checks on financiers, third-party profit participants, credit guarantors and off-book shareholders of the junket operators. The law now only mandates that the junket operators submit information of shareholders holding more than 5 per cent interest in the company for the suitability review. The numbers of the nine COTAI resorts. Doing the numbers!